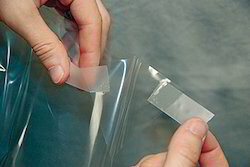 Leading Manufacturer of clear to clear mounting film (c2c) and mounting film from Navi Mumbai. 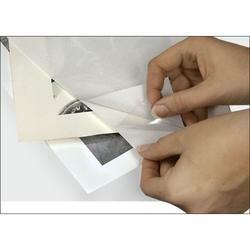 Our DUROFIX Mounting Films are used to Mount various substrates. They are widely used for mounting of Photographs, Nameplates, Hoardings, Acrylic sheets, Labels, foams and graphics. • Good for creating multi-layered effects, mounting artwork and photos, stationery, Paper crafts, school and office projects and quick fix items. Looking for Mounting Film ?